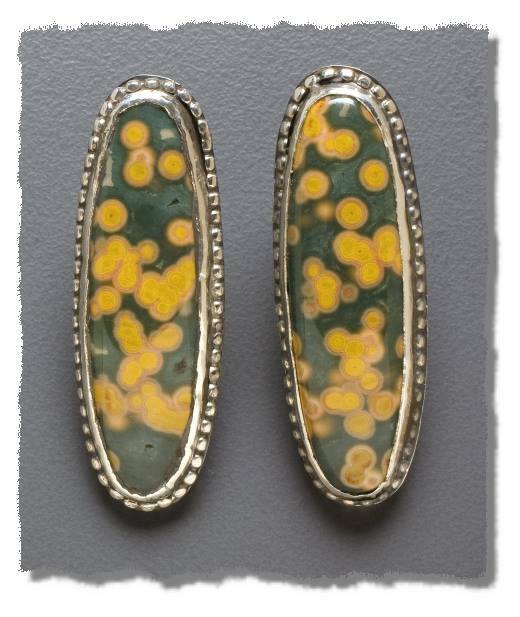 Ocean jasper comes in a wide variety of colors and usually has these orbicular patterns. 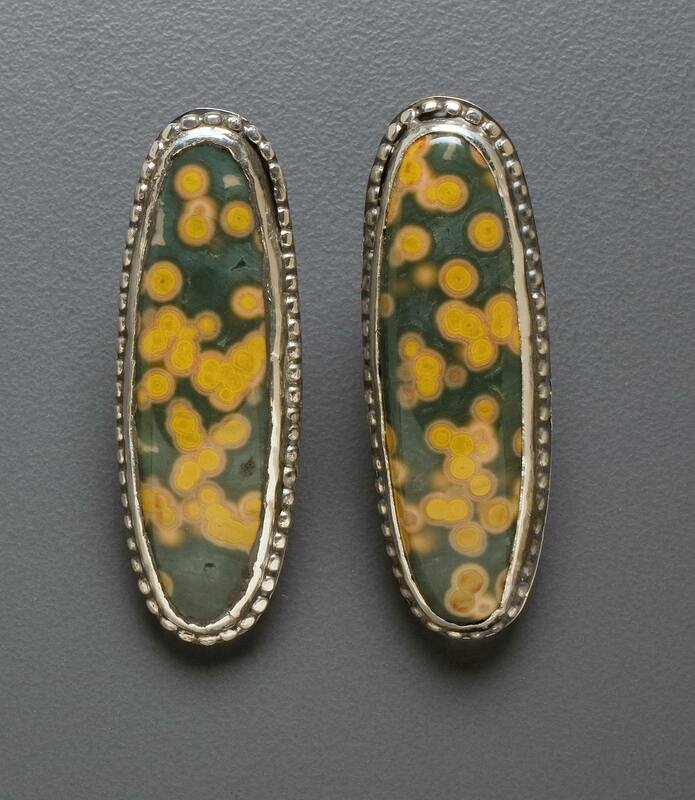 These lovely stones have beautiful contrasting colors and rich patterns in an ideal scale for earrings. Ocean jasper was found at only one location in the world, on the shoreline near Morovato, Madagascar. According to the chronology given at ozarkrockexchange.com (which is no longer online), apparently the stone has been known since journal articles appeared about it in 1922. In 1955 a specimen from Madagascar appeared in Paris where Paul Obeniche was studying at the museum. He spent the next 40 years looking for the source. At age 70, he planned his last expedition to cover the entire northwest coastline and luckily he approached Morovato at low tide, the only time the deposit is visible, and he found it! Collecting could only be done at low tide, and the material had to be removed from the roadless area by boat. The stones finally appeared on the market in 2000 and the deposit now seems to have been depleted.